What I find the most inane about his approach is the utter lack of historical awareness (at which you hinted). I recommend checking out Bruce Metzger’s _Breaking the Code_. Well, I don’t like bashing for the sake of bashing, but I think that stuff like Late, Great is truly harmful (and not innocently wrong). And you’re right – something else Lindsey won’t tell you is that alarmists like him have been getting attention and wealth for centuries by convincing unsuspecting laypeople that Jesus is coming back next week. I’ve got Metzger in my office as we speak! You started classes yet? I once heard Rich Nathan, pastor of the Columbus (Ohio) Vineyard Church, say to his congregation that if they were thinking of buying this book to instead take that money and give it to the poor. I just thought that was a great piece of advice! Larry – excellent bit of advice! I don’t have any formal theological training but I am pretty sure that in the Old Testament, ‘prophesy’ was focused on interpreting the will of God for the people in light of current events, not in the prediction of the future. In that respect, to suggest as Lindsay does, that doom and Armageddon are certain and imminent and that the God fearing should hunker down and make preparations is just nonsense. If indeed doom and Armageddon are imminent then a true prophet would be warning the God fearing about how to live in such a way as to demonstrate to God that there is sufficient hope and prospect among humanity that doom and Armageddon should be scuttled in favor of continuing the experiment of creation. But mostly I think a true prophet would be constantly echoing the teaching of Matthew 25:40 “Truly I tell you, just as you did it to one of the least of these who are members of my family, you did it to me.” The person who stands apart from his neighbor and who refuses him aid, comfort, and fellowship in an effort to remain undefiled in his own perceived holiness is not to be praised, but to be shamed, as in the story of the Good Samaritan. In that story Jesus was not concerned about the religion or the righteousness of the victim, but he was clear that the righteous ones, the priest and the Levite, were rendered unrighteous by their delusional preoccupation with the condition of their own soul at the cost of the welfare of the victim, and the apostate Samaritan was rendered righteous by his lending of aid and comfort to the victim, regardless of the quality of victim’s soul. You can like or hate having discussions about end time prophecies, but the Bible prophecies are being fulfilled. Not exactly like Hal Lindsey thought, but even he realizes he missed the mark. He admits it was making his best estimate. If we look at the prophecies that have already been fulfilled we find strong reason to believe the validity of the Bible for it’s information and it’s truth. Like Orsen Wells says in the movie “seventy percent of the Bibles prophecies have already been fulfilled leaving only 30% left. By now it might not even be 30%. Armageddon will happen and yes people are curious about how and when. It’s funny this pastor here only focuses on the negative surrounding Hal’s work. We’ll see if he does a better job. Lifes setting sun is sinking low a few more days we all must go—meet our maker that is. Get ready Jesus said he was coming again SOON! A lot depends on what you take to mean “Bible prophecies”. I think one major error, for instance, is the assumption that the Biblical nation of Israel is coterminous with the modern state of Israel. This is one of Lindsey’s major errors from the get-go: much of his, and his theological descendants’, views come from the assumption that the modern state of Israel is a fulfillment of the Biblical prophecies of the return of Israel has a political entity (which did happen after the Babylonian exile and is overlooked). Ergo, the jumping off point for much of his “prophecy” work is that 1948 marks a major point in the end times order of things. Of course, all this is predicated on a larger error: the assumption that “prophecy” in the biblical imagination is simply a matter of foretelling the future. People from Paul to now have thought Jesus would be coming “soon” – and yes, we should be prepared (and yes, I believe he is going to return again – but again, we should all beware of people making millions by claiming to tell the rest of us when and exactly how it is going to happen. I don’t think the Bible is nearly as interested in the timeline of the end as we are. As for focusing on “only the negative” – I guess you’re right. “This pastor here” doesn’t see much good in Lindsey’s work. If the foundation of the house is wrong, then the whole house is wrong, and unfortunately Lindsey’s whole project is in error from the first page. Coming from a dying denomination with women for ministers (where does the bible authorize that btw?) it is a compliment. Pete, I’m not such what the “compliment” is, but I appreciate the utter lack of engagement with any of my arguments. Where does the Bible authorize blogging btw? Accommodating the use of technology, in which ever time period one finds themselves in, and supplanting scripture with man-driven customs and traditions (such as homosexuals and women in the pulpit) are two different things. The fact that Paul taught the Rapture, as was given to Him (Gal 1:12, 2 Cor 12:1-4, 1 Thess 4:13-18, 1 Cor 15, Titus 2:13) is a doctrine that is clearly laid out. The fact Jesus promised this to the Church (ie…the body of Christ) in John 14:1-3 is what Paul was given to explain. Compare 1 Thess 4, with say Matt 24:29-31 or Rev 19:11-16, and there are two different events. I didn’t feel the need to expound on your comments, as your’s was as shallow as a puddle. Just your disdain for Hal LIndsey, which if you were to open your eyes to current events, would first require that you believe the bible. (start with Ez 36-39). It’s not as simple as quoting the Bible and assuming this backs up one particular view of Christian eschatology. Pre-, Post-, and A-millenials all worship, pray, and read the Bible in sincerity and faith and come to different conclusions. This should be allowable. There are other consequences of this bad theology as well. Too many fundamentalists give a blank check to Israel based on this mistaken conflation of a contemporary geographic place with the Biblical people of God. Moreover, premillenial dispensationalists (making the opposite mistake of the postmillenials) are content to let the world go to pot based on the notion that the world will simply get worse and worse until Jesus comes back. Such quasi-gnostic escapism is naive at best and a dangerous betrayal of the gospel at worst. I don’t expect to change your mind; I think it is fair to point out that I’ve been in your shoes, made your arguments before, and rejected them after honest searching and study. Even after rejecting these kinds of end-times scenarios, I read the modern godfather of dispensationalism so I could teach a Bible study at my church and honestly say I had engaged the other side. This, if I may risk a cautious guess, is more than many of the people who have excoriated me in these comments have done. If the mood strikes you, a good place to start for a different approach is NT Wright’s “Farewell to the Rapture,” found below. Peace to you, and thank you for stopping by. The Promises to Israel, were given to Abraham, Isaac, and Jacob, and were everlasting. They didn’t cease in 70AD. So if you think I’m wrong on this, please point out to me any other nation that has had a 1,800 year diaspora and come back speaking the same language, same religion, same cultural dietary restrictions, feasts, etc. 2. There can only be one interpretation to the Bible. That is to take the text for what it says, and applying common sense. Do you sacrifice sheep at a temple on Sabbath? If not, why not? The bible is not a choose your own adventure novella. One God, One Author. One story written by the inspiration of the Holy Spirit through 40 men. I’m assuming your a fan of Higher Criticism, if that is the case, then your hermeneutic is open to any interpretation. 3. Lastly, were all 300 of the prophecies concerning Jesus first coming, literally fulfilled? There are at least twice as many that the scriptures hold to the second coming. The Bible, is one out of many ‘holy’ books the world has floating around (according to the world). What distinguishes the Bible from say, the Book of Mormon, or the Koran? Prophecy. God declares the end from the beginning (Isaiah 46:9-10), and everything He says will happen, will. He moved the prophet Isaiah (11) and Ezekiel (36-37), Moses in Deut (4, 30) that Israel would be a nation again. I don’t buy into replacement theology, because that is a very demonic doctrine. That was the same sort of justification that Hitler used in the 30’s to pressure the German Church into a more ‘aryan’ bible. I think it’s sad that these days,so many pastors and denominations so willingly buy into this Laodecian, social, emergent gospel that focuses on self, fixing the flesh, instead of saving the soul. Anyway, as a pastor, when you do stand before God, you will have alot to answer for. 1. I didn’t say that the promises were null and void; I suggested that a political entity of the 20th century isn’t necessarily the same thing as the Biblical covenant people. What about Jews in Germany, Russia, and America? Surely God’s promises extends to them. Surely Paul had these folks in mind as well when he prayed/promised that “All Israel will be saved” in Romans 11. Nowhere does the Bible say that, after thousands of years of imperialism, a flag would be planted and this particular democracy would then be the recipient of all the promises of God. 2. The Bible doesn’t even have one interpretation of the Bible. Jesus and the Pharisees wrestled with how to rightly understand the law. Paul argued with legalistic Christians (who had influenced the Galatians) who thought gentile Christians needed to be circumcised. The Jerusalem council in Acts had to decide what to do with the Torah in a new missionary situation. Scripture is not univocal, which is why it is open to different interpretations. To see this as a weakness, or has heresy, is just misguided. Anything of depth can be read in different ways. Think about how different Proverbs, Job, and Ecclesiastes answer the deepest questions of life. Why does evil happen? What is the good life? Scripture has an amazing way of interpreting itself, if we are open to it. Or, to take it to the New Testament, what were Jesus’ last words on the cross? I don’t know if asking that question is what you would call “higher criticism,” but you can’t wrestle with that question honestly and claim that there is only one interpretation of the Bible. 3. Prophecy is about fore-telling as well as forth-telling. I fully believe that John’s apocalypse teaches that Jesus will defeat the powers of death, that there will be a judgment, and that God is going to put the world to rights (in Bishop Wright’s terms). I think the premillenial dispensationalist account of these prophecies is misguided. I get that you are annoyed with the social/emergent gospel(s), but I endorse neither. You seem to be under the impression that asking questions about fundamentalist readings of Scripture and eschatology is tantamount to apostasy. This is unfortunate. We are not so far apart as you might imagine. I will indeed have a lot to answer for. That is why I continue to study and hopefully grow in grace, faith, and understanding. I think God is big enough to handle questions. The more I read Scripture, the more I have. Whose banner does Isaiah 11 say is going to be an ensign to the nations? Jews are/have been going back to Israel by the tens of thousands. Let me ask you, who is the god of this world? Who is the prince of the power of the air? Now, if the rebirth of Israel is not from God (erego, part of Gods plan) why is the whole world pitted against a nation the size of New Jersey? 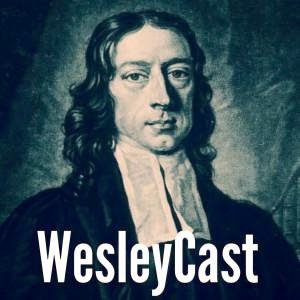 Dispensationalism answers all the questions that covenant theologians, replacement theologians, amills, preterists, liberals, atheists, and anyone else. Which is why all the aforementioned hate the rapture. I don’t have to allegorize, or spiritualize large swaths of scripture. Rather, just take the text as it is. Granted, do I think a little sword will come out of Jesus’s mouth? No, common sense says that is ridiculous, plus we have the bible to interpret the bible. Hebrews 4:12 makes this clear. So what exactly do dispensational Pre-mills have wrong? Strategically, Israel has always been at a geo-political crossroads; a bit like Poland, actually, caught between superpowers. Israel’s modern struggles need not have much to do with God or the devil, but with sinful humans vying for power. The teaching of Lindsey and others that suggests the rebuilding of the temple is a prerequisite for Armageddon is likewise foolish: if that ever does happen, there will be a war, but not because it is part of some “plan”. Destroy any religion’s holy place to build another on top of it and there will be a war, whether God is part of it or not. I think to claim to know God’s “plan” for the end of the world is to claim to know more than Christ himself indicated, and is very dangerous ground. This is why I think any scheme that claims to answer all the questions cannot be right: if all the questions are answered, then we have ceased worshiping the God of the Bible and have replaced him with a human construct. The problem with your take on Scripture is that my common sense and your common sense may not be the same. For instance, it seems very common sense to me to know that the will of a generous God is not to be content to watch the world go to pot only to swoop in for the rescue at the last minute. It is common sense to me that something called the rapture invented within the last few centuries is a modern invention, and that people like John Nelson Darby and Scofield were well-meaning but very misguided. It is common sense to me that they fall in a long line of folks – including some of the Biblical authors! – who thought Jesus was coming very soon. It is common sense to me that I can’t take people seriously who claim that the Bible is “simple” and “easy to understand” and want to take it literally everywhere, until they get to the last book of the canon and all of a sudden want to discover interpretation. There is nothing straightforward about the book of Revelation, and to claim that it quite simply tells us a premillenial dispensationalist account is lunacy. The more plausible account is that Revelation was written to Christians who were being persecuted – much like Daniel was written to Jews in similar circumstances. Apocalyptic writings were done under very specific conditions and for very specific purposes. Both Daniel and Revelation are at least as much about what was going on at the time as they are about what is to come. Revelation is a wonderful book, full of hope and triumph and promise, but it is more often than not been abused and excavated rather than read, prayed, and enjoyed. I honestly don’t know where you are going with 1 Cor. 15. I’ve used this in many funerals to speak of the hope of the resurrection, but I see nothing in it that lends itself to dispensationalism. All Christians believe in the resurrection (or should), but this in no way commits someone to Lindsey’s teaching. Far from it. The Darbyist system is very modern, and represents a far cry from historic Christian teaching about eschatology. As far as the details of what’s wrong? Well, I think dispensationalism itself is a silly notion. Why would God act different ways in different times? The Bible doesn’t use the word “dispensation.” This is nothing but an attempt to flatten the complexities of the Biblical narrative. God is unchanged, He does not change his mind every couple of thousand years and decide to act in different ways. And as for the premil part…well, if it’s not clear I think the rapture is a completely unbiblical man-made invention. It’s not a Biblical word, it’s not a word known by the church fathers. Just because it is a popular teaching with megachurch fundamentalists on TV and in print does not make it correct. At any rate, I think we are dangerously close to crossing the line in 2nd Timothy 2:23-24 – I don’t think this particular quarrel is edifying either of us. If you wish to continue, let’s do it via email. I don’t think we are going to change the mind of either. Oh, and the fact that the word “Rapture” doesn’t appear in the English version of the scriptures is a pretty lame point. I mean, the word “Bible” doesn’t appear in scriptures, and neither does the word “Trinity”. You believe and teach both of those concepts do you? It’s used in: 1 Cor 9:17, Eph 1:10, 3:2, Col 1:25. Dispensationalism, is a progressive revelation from God to man. Why, Adam and Eve only had one rule, Moses was given many. You and I aren’t bound by those rules for salvation. All Dispensationalism does, is rightly divide the word. The problem with liberalism (or higher criticism) is that it is the other extreme to the legalist. The legalist misses the intent of the law for the strict verbage of it, the liberal dismisses the spirit or intent of the law for private interpretation. That is why the Methodist (along with the other mainline protestant denominations) are dead or dying, and groups like Calvary Chapels are booming. They preach the word, you guys try and make warm and fuzzy moral lessons from everything. Email me, and I’ll send you scripture that shows WHY there is a Rapture, and WHY it’s distinct from the 2nd Coming. It is very much tied into 1 COR 15, which is the endstate of our sanctification. Predestined, Called, Justified, and Glorified (Rom 8) And how does Paul end 1 COR 15? Also, Iraneaus, Justin Martyr, Ephraim the Syrian, and many others taught a pre-tribulation rapture as distinct from the 2nd Coming. It wasn’t until much later that Augustine came and introduced Amillennialism in which the Roman Catholic church adopted, and made their eschatological standard that carried through the Reformation. You know I’m right. You can research this history yourself if you wouldn’t harden your heart to it. And to say that Israel’s rebirth in 1948, as a result of the most horrific mass extermination in human history is not something God ordained, is really to turn a blind eye to God’s eternal land/people covenant with the Jews. You don’t have issues with the Noahic covenant do you? Why is one disguarded and the not? The very, very, very secular state of Israel (created by man, not God [and very hard on both Orthodox Jews and Christians]) is the linchpin for conflict in the Middle East. The cabal behind the birth of secular Israel makes quite the interesting read, if one enjoys history. One can say, “I don’t believe all that” but then a great many things that people do not believe take place every day and they have to deal with the consequences. All that being said, we are still commanded to pray for the peace of Jerusalem (Psalm 122:6), which will materialize after Jesus returns. just curious do you know about Hal Lindsey’s other little pet project? Have you ever heard of his ex-sister in law’s book “the beautiful side of evil”?